Read to the end, where I have also included a little tutorial on how to make your own journal. Recorded a year ago…. I wrote this article as one of my demo pieces for a new freelance writing gig. While the strategies were written with a chronic illness in mind, the truth is, these practices can be applied to living a happier life in general. Being diagnosed with cancer, alters your life in ways that unless others have experienced it, they will not understand. Facing ones mortality, going through treatment, and finding peace in just everyday life can be a challenge, but there are ways to find happiness while living with cancer. 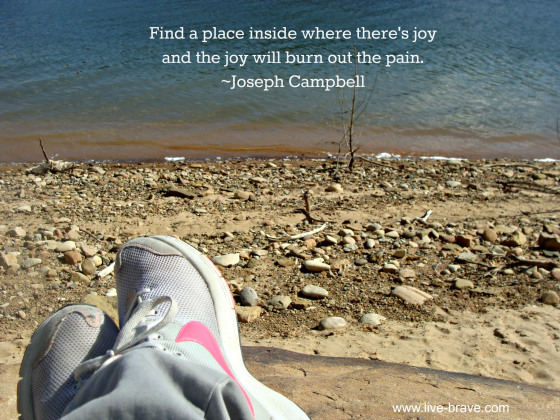 If you can, “find a place inside where there’s joy, and the joy will burn out the pain.” Here are five easy ways to do just that.